As the highlight of this year’s celebration, Bicol University celebrates its 49th founding anniversary and marks the start of the 2018 BU Week with a foot parade and an opening program that features the return of the university’s festive annual tradition –the Hataw Dance presentation. Aligning with this year’s theme: “Sustaining Gains, Building Milestones”, the celebration of BU’s birth and the start of the BU Week gave focus on showing appreciation to BU’s growth and advancements throughout the years, particularly its climb in achieving a higher level of academic excellence. The celebration actually began early Tuesday morning with a Thanksgiving Mass at BU College of Arts and Letters (BUCAL) Amphitheatre, celebrated by Fr. Ceasar Dizon SVD. In his homily, Fr. Dizon gave emphasis on staying steadfast on the goal of achieving the university’s vision. 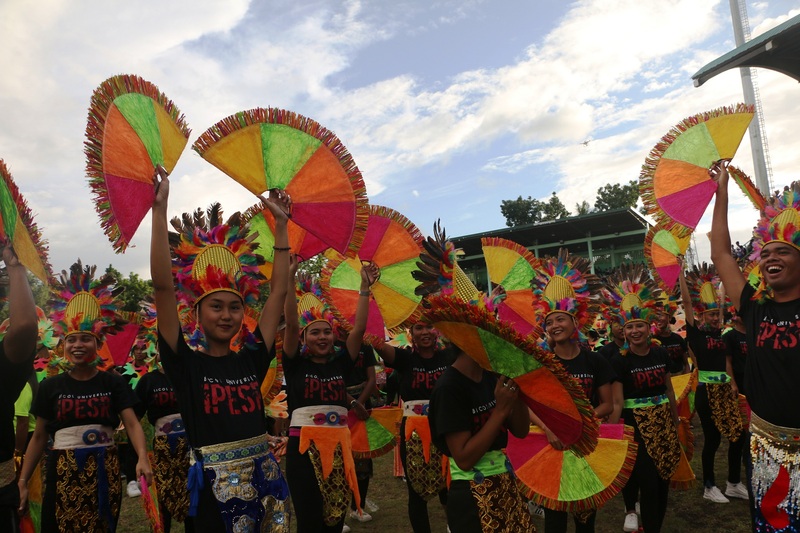 In the afternoon, nearly ten thousand of BU’s students, faculty members, personnel, and officials assembled at Peñaranda Park in Legazpi, which is the starting point for the foot parade. 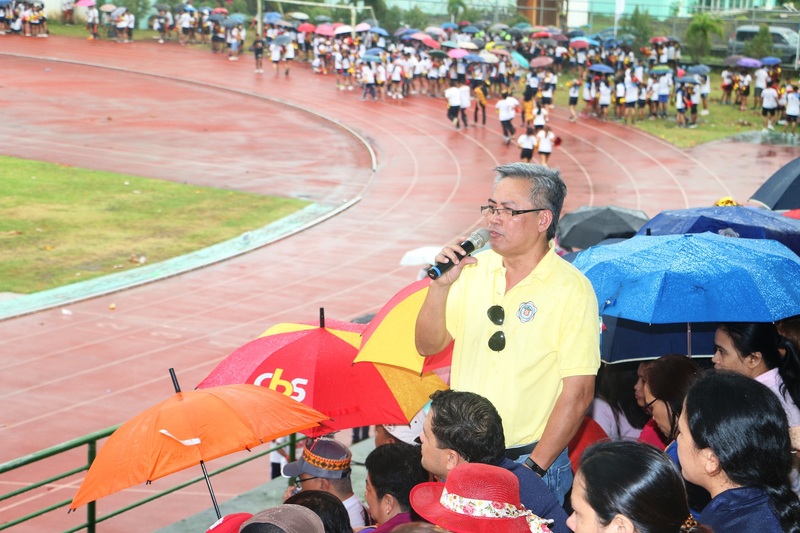 The 15 BU campuses showed school spirit as the parade traversed from Peñaranda Park to the Albay Sports Complex in BU’s Main Campus. 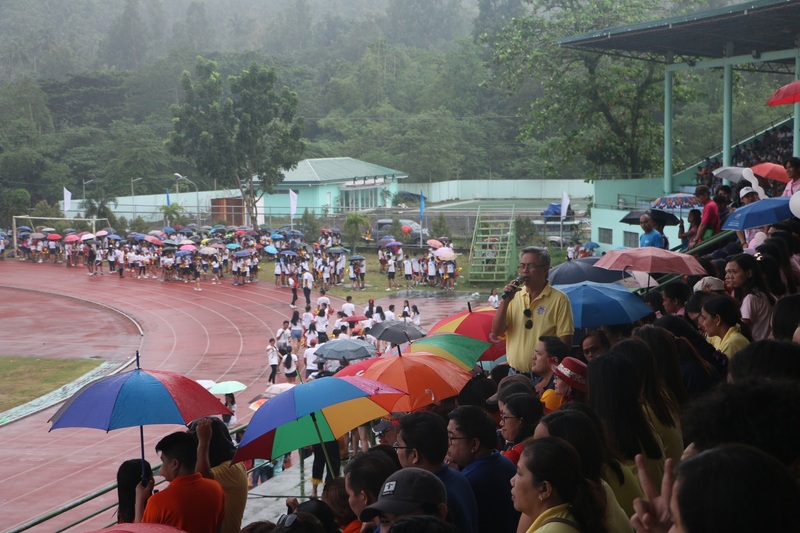 The parade and program also marked the start of the annual BU founding anniversary –the highly anticipated week-long event of the student body, wherein participants from the campuses contend against each other in a series of athletic and special competitions. 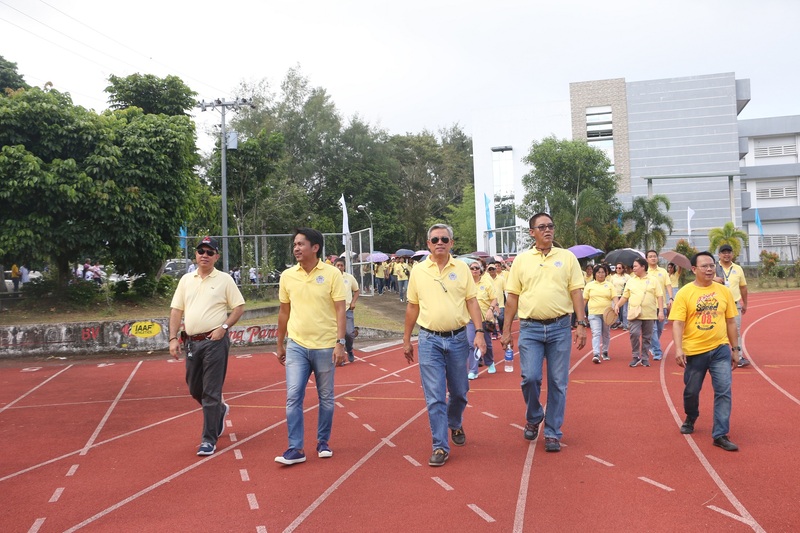 As the parade ended, the opening program officially began with a flag-raising ceremony headed by BU President Dr. Arnulfo Mascariñas and the University Vice-Presidents. 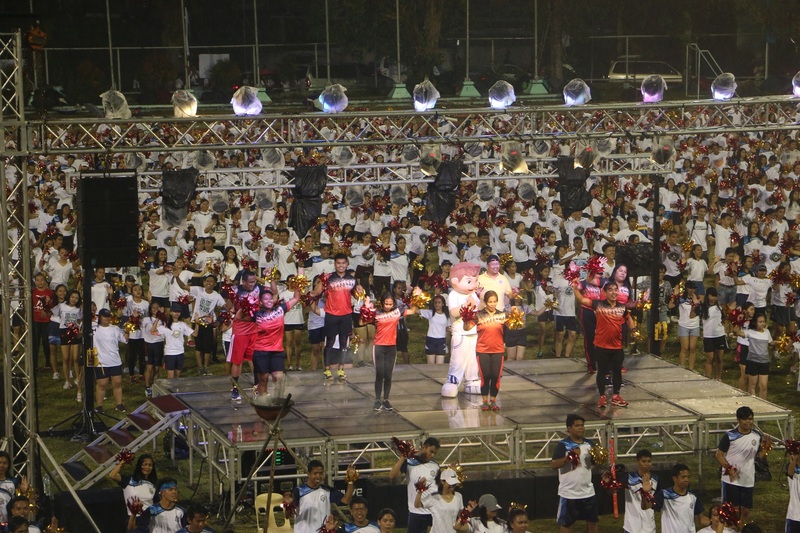 After each of the campuses were acknowledged, the program gave way to the much awaited Opening Dance Salvo, where each college had a group of 15 members participate in a conglomerated dance number. After the Opening Dance Salvo, those present watched the return of the Hataw Dance presentation –the inter-college freshmen group dance that went into hiatus during the past two years. The participating groups brought their unique dance routines in their presentation, along with the faculty of BU Institute of Physical Education and Sports Recreation (IPESR) headed by its Director Carina L. Sales.